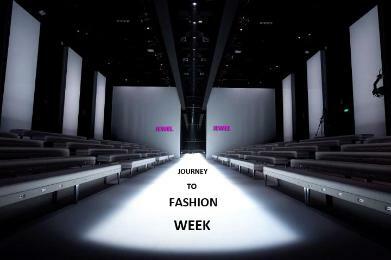 Journey to Mercedes-Benz Fashion Week SWIM! Help Us Get to Mercedes-Benz Fashion Week SWIM! We are a Luxury Swim & Resort wear brand from humble beginnings in The Bahamas. Help us launch our first collection at Mercedes-Benz Fashion Week SWIM! Hello! I'm Jewel, an Entrepreneur from the beautiful Bahamas where I grew up influenced very much by the amazing Art Community. A couple years ago I was lucky enough for the opportunity to pursue a passion I’ve desired for over 10 years. I have now started a new career as a Fashion Designer and have been building my brand for the past 2 years. It is a luxury swim & resort wear brand for women. This brand is greatly inspired, by my island. The lifestyle… that sun, sand, & sea. The ocean breeze of this Paradise I call HOME! In this time I have dedicated my energy and all resources to this project. I have created a collection of beautiful, pieces, which embody strength, classic style and luxury. With this collection I am proud to honor women who exemplify strength, leadership and courage. It is important for me that my brand embodies these qualities and as a Designer, attention to fit and quality pieces are very important. It is my dream to finally show pieces from my collection in the Mercedes-Benz Fashion Week Swim next year 2013 in Miami, FL. At this show I will finally have the exposure I so desire to grow my brand and expose it to the world. In this effort I would like my brand to also serve as a launching pad for other persons from my country to the Fashion World. As it is a small community here in The Bahamas, there is not a massive outlet locally for persons who desire careers in this creative field. I would like for my brand to be this outlet! PLEASE… be so kind as to spread the word by copying and pasting the link to our campaign page at the top and post to your social media pages as well as to your e-mail contacts. Please also LIKE our Face Book page where you will find lots of updates. Remember, every bit counts!